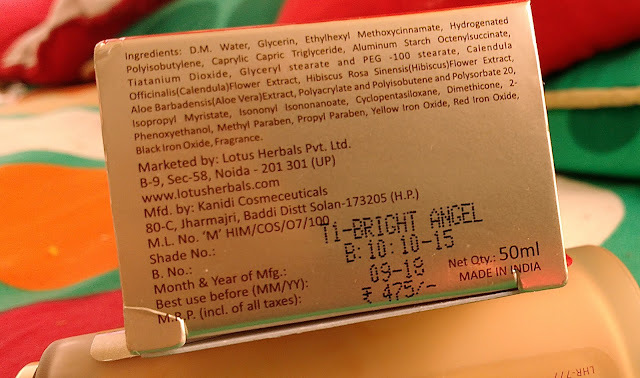 A couple of months back I brought a tinted moisturiser from lotus herbals not expecting much from it but now I am a big fan of this product and it has revolutionized my daily makeup routine. I try to avoid foundations as much as I can and for everyday makeup I used BB creams. The problem with BB creams is that I coudnt find a nice moisturizing one with decent lasting power. Garnier BB cream dint give me my desired coverage while the Ponds BB cream dried me out . 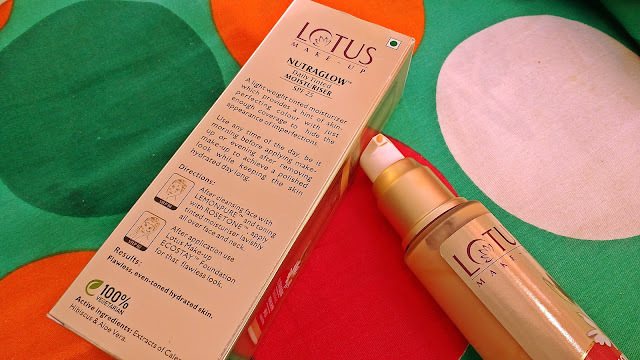 If you have dry skin and want a tinted moisturizer for summer Lotus Herbals Nutraglow Daily Tinted Moisturiser can be your perfect winter pal. Read on for detailed review and my experience. 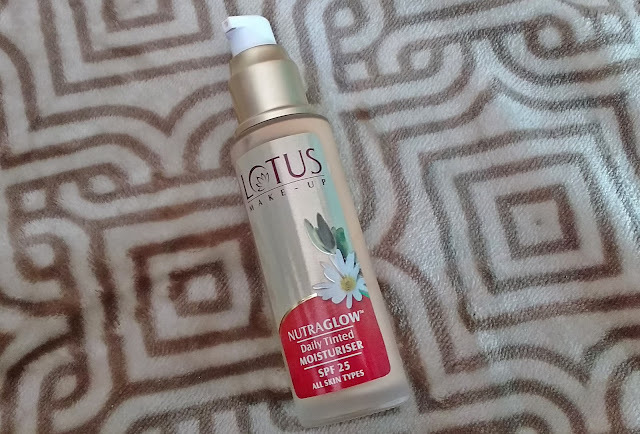 I am loving pump dispensers a lot these days and this tinted moisturizer from Lotus Herbals comes in a glass bottle with a pump. I love the packaging but the glass bottle may not be very travel friendly as it needs to be handled with care. Texture: Super creamy consistency which blends like a dream. Winters are particularly brutal on my dry skin and i am forced to apply moisturizer and then top it with a tinted BB cream . You cant skip sunscreens in winter so one layer of sunscreen also required and Lotus Herbals Daily Tinted Moisturizer has SPF 25 and provides decent everyday kind of coverage in addition to hydrating my skin. This winter all I am applying on my skin is this tinted moisturizer and I am totally loving my fresh dewy day look. In winters I wanted to try something light and hydrating as a base for everyday light makeup and I spotted this Lotus Herbals Tinted Moisturiser on flipkart. There was only one shade Bright angel in stock and I decided to take the risk and brought it. The price was bit too high considering many BB and CC creams retail for a lot less in Indian market but the quantity provided was more (50g) and I also got 30% discount online so I went ahead with my purchase and I am glad I discovered this beauty which is a bliss for dry skin in winter. I take around two pumps of this Lotus herbals moisturizer and spread it on my face and neck with my fingers. I love how easily this products blends and hydrates my skin giving a nice natural sort of glow. My skin tone looks more even after application but the coverage is low so dont expect this moisturizer to conceal dark spots or under eye circles. The shade bright angel isnt perfect match for my skin tone but it doesnt look artificial on my skin and kind of suits me well giving a dewy natural finish. The hydrating glow lasts for about 5 hours on my face and this product also has SPF 25 which is perfect to combat winter sun especially if you are mostly indoors. After a bath I apply only this tinted moisturizer and a bit of cream blush on top for a natural everyday make up look. So it has really simplified things for a busy stay at home mom like me. On more dressy days I top this Nutraglow Daily Tinted Moisturiser with a compact powder add a bit of kajal and some tinted lip balm. What I am trying to say is that this winter Lotus herbals tinted moisturizer has become my day makeup essential. I havent used this moisturizer in summer but my T-zone starts to get oily like 2 hours after application so this product will need a powder on top in humid areas. Also oily skinned beauties may find this a bit heavy on skin , so girls with oily skin may give it a skip. I suggest normal and dry skinned women definitely give Lotus Herbals Nutraglow Daily Tinted Moisturiser a try for winters. This has become my HG day moisturizer . I will definitely repurchase it. 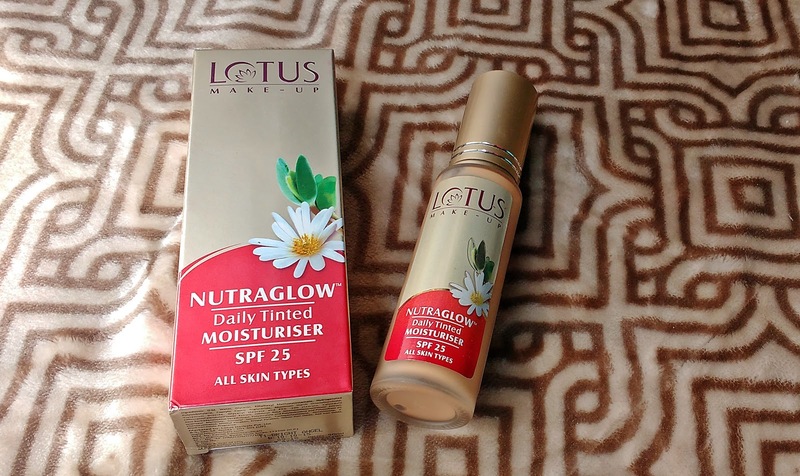 Overall Lotus Herbals Nutraglow Daily Tinted Moisturiser is amazing buy for dry skinned beauties in winter. 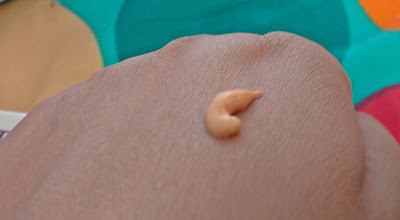 It nicely hydrates my skin giving a natural dewy finish with decent sun protection. The price may be a little high but it is total value for money for women who have dry skin and dont like to use foundations on a daily basis.